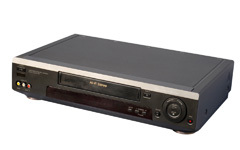 SOLUTION: There are several options for Philadelphians to recycle VCRs. eForce Recycling has recently opened their doors to consumers, and unwanted electronics can be dropped off during the week for free (3114 Grays Ferry Ave., 8 a.m.–4 p.m., Mon.–Fri.). This fall, eForce will also be hosting residential collection events throughout the region (visit eforcecompliance.com for dates and locations). The City accepts VCRs and other electronics at their Household Hazardous Waste events (the next one is July 26 at 8401 State Rd. ; visit philadelphiastreets.com/hazardous-waste-events.aspx for more dates) and at their Sanitation Convenience Centers (3033 S. 63rd St., 300 block of Domino Lane, or State Rd. and Ashburner St., 8 a.m.–6 p.m., Mon.–Sat.). Best Buy also accepts VCRs for recycling at any of their stores.